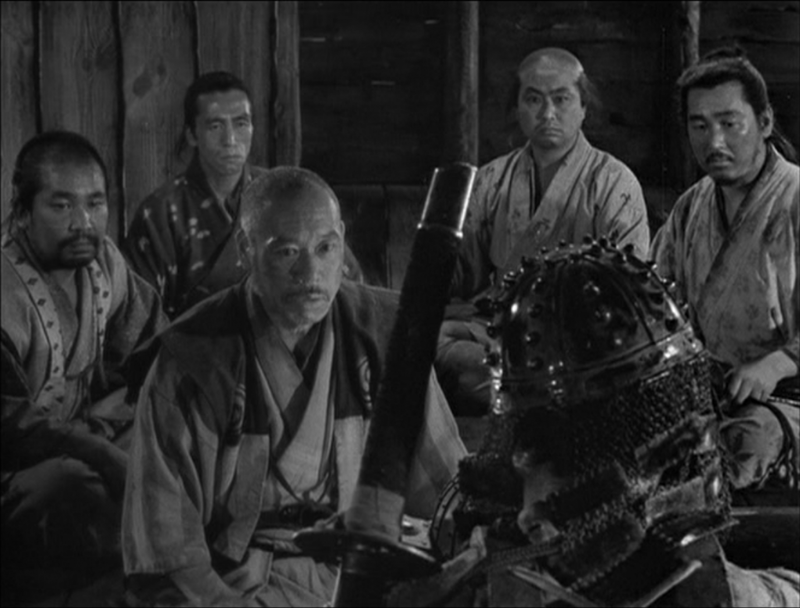 Seven Samurai (Shichinin no samurai) is a quintessential Kurosawa movie, and probably the Japanese master's greatest lagniappe to the world of cinema. 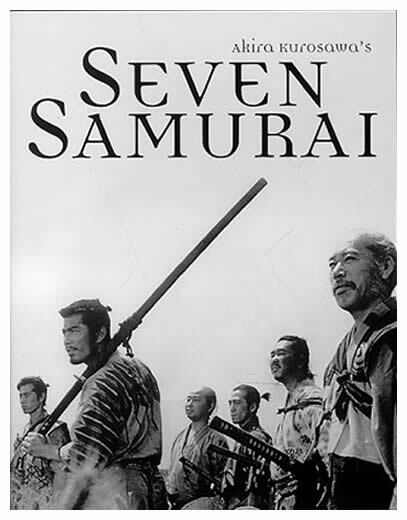 Seven Samurai is a classic example of a profound character study that's well complemented by some meticulous direction and breathtaking cinematography. The world of cinema owes a colossal debt to the master movie-maker and plethora of his sui generis works such as Seven Samurai. 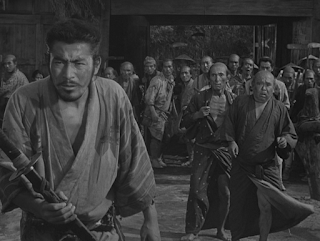 Seven Samurai depicts penury with pure brilliance and heart-wrenching realism. The inexorable resolve exhibited by the destitute villagers to fight the rapacious bandits can be inspiring even to the most pessimistic. The fidelity shown by the bunch of samurai to the villagers, in return of a bowl of rice, accentuates the very essence of humanity. The movie's slow pace and its poignant background score enriches it with a sense of melancholy, thereby making it truly mesmerizing to watch. 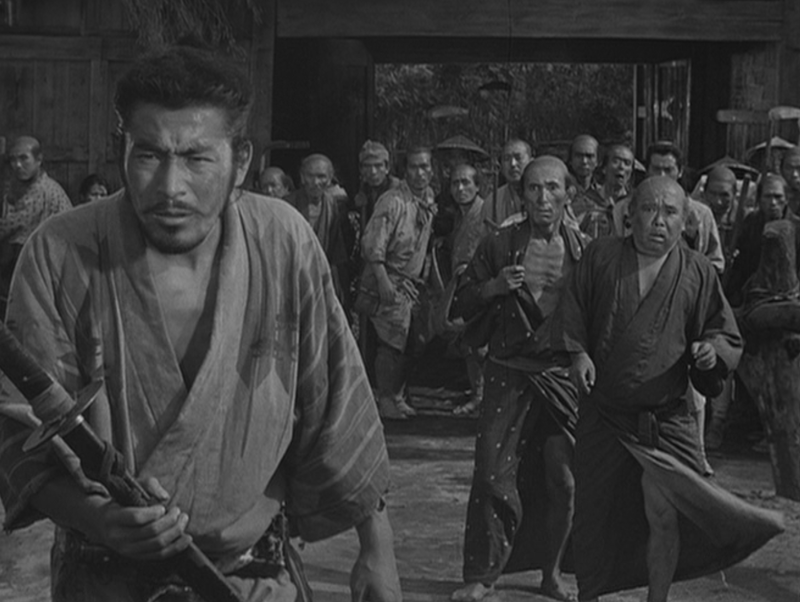 The entire cast led by Takashi Shimura and Toshiro Mifune succeeds in delivering a power house performance while simultaneously taking care of the nuances and subtleties needed to portray movie's highly convoluted caricatures. Kurosawa's plaintive storytelling makes Seven Samurai a truly ineffable experience for the viewer. As mush as I love this movie, Ran is favorite Kurasawa film. It is a breathtaking adaptation of Shakespear's King Lear. That's my favorite as well, and I was kind of getting the feeling that I was alone in that sentiment since I always hear so much praise for his early work and very little for his later films. Ran is my favorite as well. It's really difficult to match Ran's brilliance as a movie and more importantly as a dream project. Perhaps, Dersu Uzala is the only movie that can match the power of Ran. IIRC this was the basis for Star Wars. Sort of, Lucas says he watches it every time he makes a movie. But the movie by Kurosawa that he actually ripped off almost completely in the narrative was "Hidden Fortress". Yes, Star Wars is essentially The Hidden Fortress plus the climactic scene from The Dam Busters. Couldn't have agreed more! Sadly, most of the contemporary movies are more style and less substance. Talking of graphics, one movie that I would highly recommend is Harakiri (1962). With minimal use of technology and precise use of camera, sound and timing the movie packs a punch harder than any of present day productions. Another fine example of such pure power is Kurosawa's Throne of Blood.